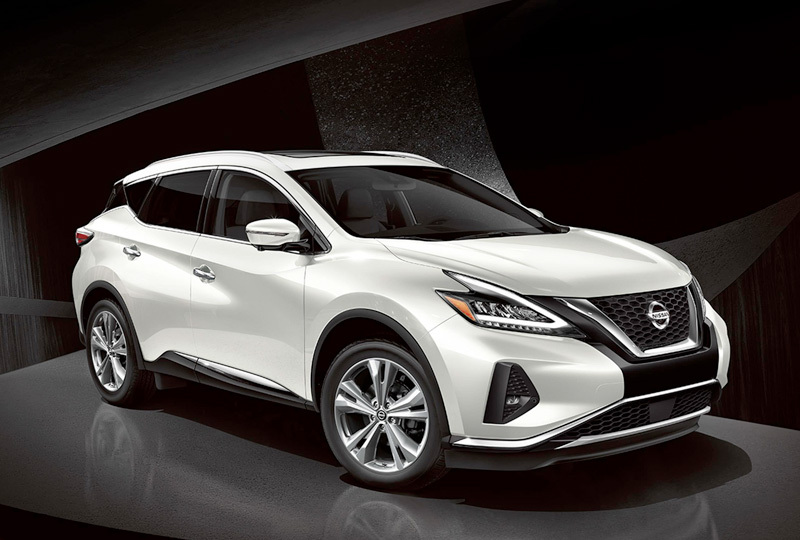 The 2019 Nissan Murano for sale at Grubbs Nissan in Bedford, TX - close to Dallas, Fort Worth, Arlington, and Irving - brings luxury features to an everyday SUV. The 3.5L DOHC 24-Valve V6 engine with 260 horsepower and Xtronic® CVT creates a dream-like driving experience. Opt for available Intelligent all-wheel drive to enhance your ease of handling in every situation. Better yet, 20 mpg in the city and 28 mpg on the highway1 makes both you and your bank account happy. No matter where you go, you'll turn heads with a stunning exterior. The sleek floating roof design is unlike anything else and matches your unique style. It's served beautifully by available 20-inch platinum wheels in dark hyper silver and a deep and aggressive V-motion grille. Striking design continues on the interior, where you'll find an updated premium dashboard with wood tone or metallic accents. Optional semi-aniline leather-appointed seating feels just as good as it looks. The 8-inch touchscreen display connects with a variety of apps or features that can be accessed through standard Apple CarPlay® and Android Auto™ capability. You can even play your favorite tunes, which will sound even better on the available Bose® Premium Audio System with 11 speakers, including dual subwoofers. It's a great time to buy a new Nissan! Our 2019 inventory is here, and we can't wait to help you find the 2019 Nissan Murano you've always wanted. Visit the showroom located at 310 Airport Freeway in Bedford, TX, to take your test drive today! Murano's redesigned exterior catches eyes with a deeper, more aggressive V-motion grille, sharper LED headlights and updated LED rear taillights. 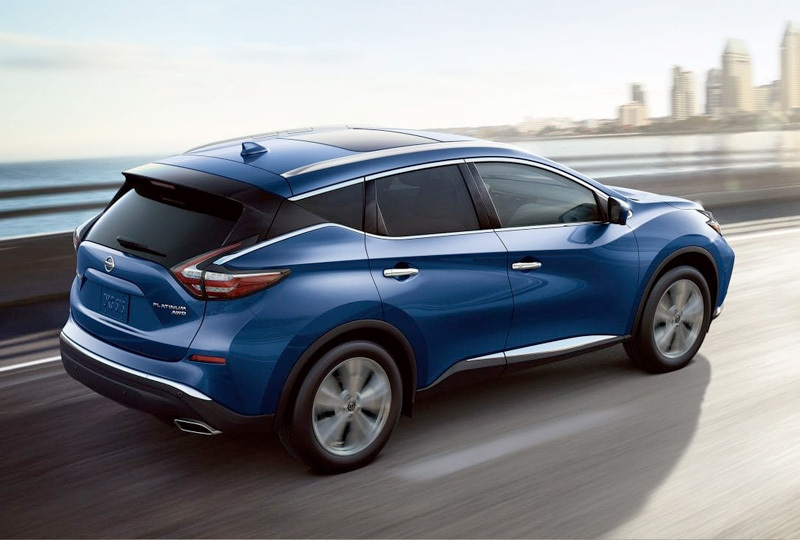 Murano takes on the road with a 260-horsepower, 3.5-liter V6 engine. Aerodynamics achieve a drag coefficient of 0.31 - comparable to some sports cars. Along with the Xtronic® CVT (Continuously Variable Transmission), it all adds up to an impressive 28 MPG on the highway. You're only human - it's nice to have a little backup when something unexpected happens. 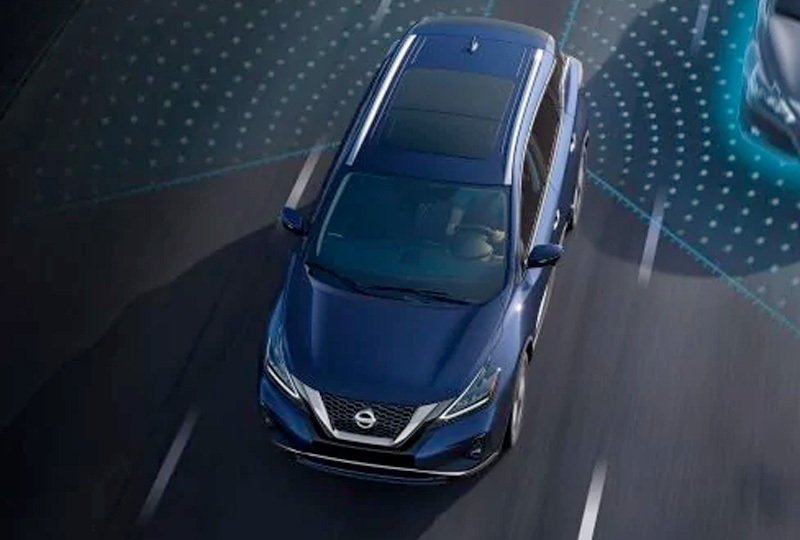 Murano offers a suite of available Nissan Intelligent Mobility features that can step in and take action to help keep you out of trouble. Change lanes with more confidence. 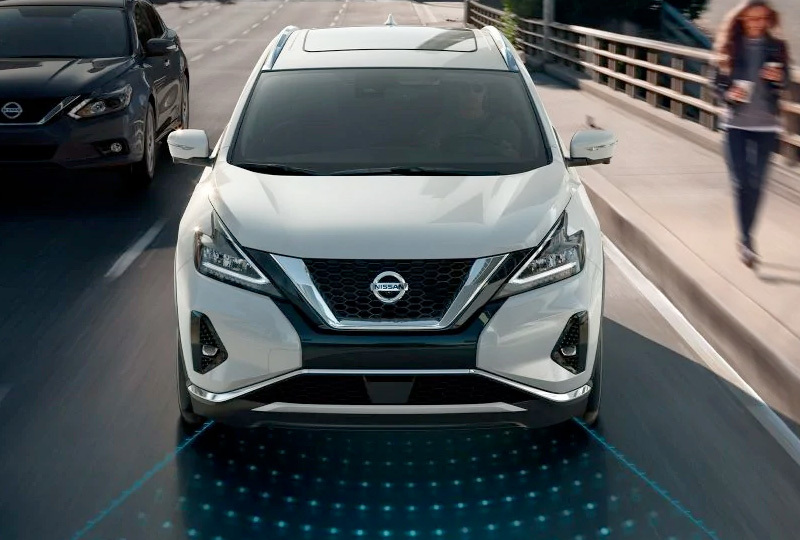 Available Blind Spot Warning keeps an eye on your Murano's blind spot area and gives you a heads-up if it detects a vehicle hiding there. 1. 2019 EPA Fuel Economy estimates. Actual mileage may vary with driving conditions. Use for comparison only.